MID-Frail is a major new international research study examining the effectiveness of combining optimised medical management with exercise and dietary programmes to maintain function and quality of life in people aged 70 years and over who have Type 2 diabetes. Type 2 diabetes is a highly prevalent metabolic disorder in ageing populations, affecting approximately 20% of people aged 65 years and over. Diabetes is associated with increased frailty and an accelerated decline in the ability to carry out activities of daily living, which impairs quality of life. There is a significant accompanying personal and social burden and increased healthcare costs through the effects of diabetes complications leading to increased hospitalisation rates. Sixteen centres in seven countries across Europe will participate in this 4-year study, which is supported by the European Union. The project is co-ordinated by Professor Leocadio Rodríguez-Mañas (Hospital Universitario de Getafe, Madrid, Spain), an internationally-renowned geriatrician and Director of the Spanish Network on Ageing and Frailty (RETICEF) of the Ministry of Science and Innovation. 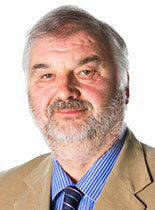 The Scientific Coordinator is Professor Alan Sinclair (Diabetes Frail, UK). 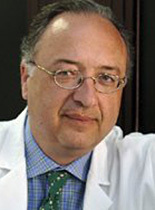 Professor Sinclair is an internationally-recognised expert in diabetes and old age medicine.